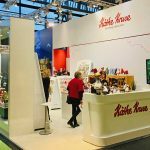 Käthe Kruse exhibited at the Nuremberg Spielewarenmesse (Toy Fair) again this year with a booth adjacent to the parent Hape booth in Hall 3A. They were showing a traditional line of dolls and soft toys continuing the over 100 year history of the brand. Also a popular part of the booth, is the new collection of classic dolls for collectors. 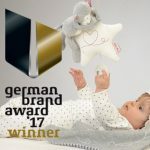 This entry was posted in News and tagged dolls, toys, Nuremberg, Germany on March 18, 2019 by Kathryn Hertzler.